Finally! It’s sweater weather. This season, we’re loving the mash-up of various textures, fabrics and fits. From chunky sweaters and cable knits to plush pullovers and mock turtlenecks, sweaters are the easiest way to update your cold-weather wardrobe. We say the more the merrier, but really, just one sweater styled multiple ways can take your look from pulled-together weekday go-getter to casual lounge-loving weekender. Our favorite cold-weather warriors—see how to wear and pair sweaters. The next best thing to hitting the snooze button and crawling under the covers on a chilly weekday morning? Wearing a super soft cable knit sweater in a dreamy creamy color. This timeless pattern feels very of-the-moment when paired with a mid-length skirt, plush suede booties and a colorful clutch. The combination says smart and professional, yet not too buttoned-up. Swap the skirt for a pair of black leggings and thigh-high boots, and you’re set for Saturday night. Nothing says fall like a palette of leaf-turning hues. Go for colors that don’t necessarily match, but do complement each other. 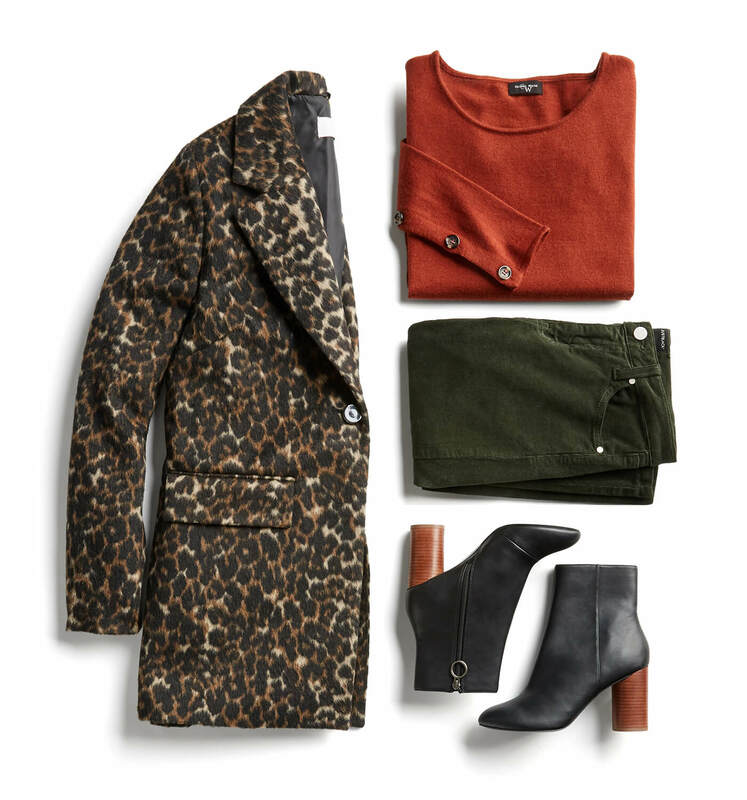 Top a pair of olive denim pants with a statement-sleeve, burnt orange sweater and finish with contrast-heel black booties. Add an on-trend animal-print and you have instant style “savoir faire.” (That’s French for “know-how” and English for “know wow!”). 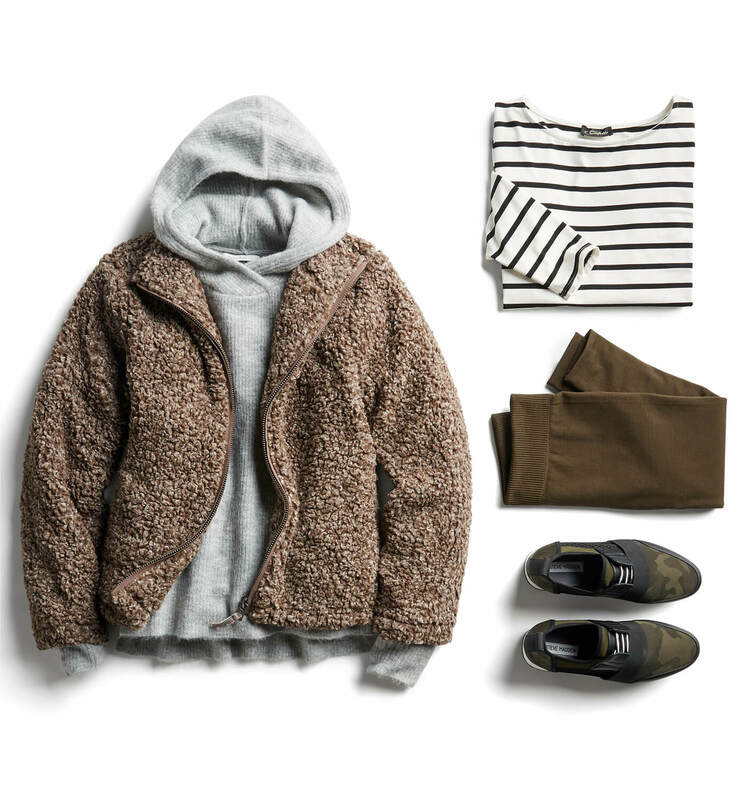 Create your own unique version of this look and be weekday- or weekend-ready for anything. Raised, marbled, pebbly, or fuzzy––texture adds visual interest and dimension to your outfit. Especially if you sport a chunky sweater in a spirited hue that sits front and center. 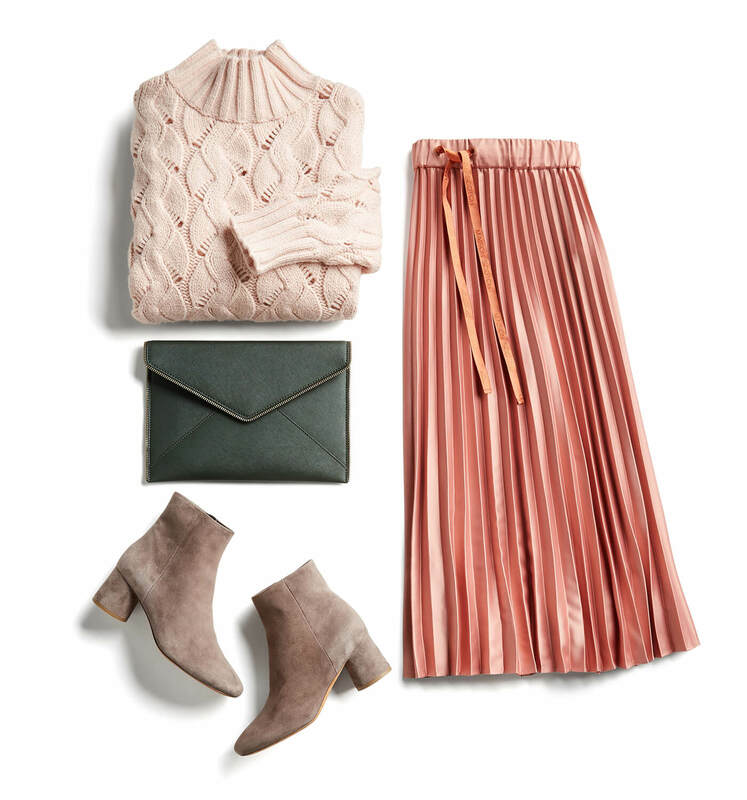 Surround it with neutrals: a simple thin-striped cotton button-down that doesn’t compete with the same-patterned knit skirt, even if you let it peek out (for a touch of old-school yet very “now” prep). Complete the look with a pair of stacked-heel booties and a taupe and black cross-body bag. Swap the skirt for a pair of distressed cropped jeans for an instant weekend-worthy dress-down. Whether close-fitting or slightly oversized, a turtleneck adds a sophisticated 70s minimalistic vibe to any outfit (the wider the neck, the better). We love a soft beige, loose-fit, box-cut sweater paired with a contrasting bright blue, textured mini skirt. Dainty, pointed flats pair well with the shorter skirt length. Top it all off with a heavy-duty coat. Add tights and booties if you’re still feeling the chill, or swap in black-wash jeans for a weekend-worthy look. The chic cameleon, a sweater dress is like no other dress in your closet (stretchy and figure flattering at the same time). Pair it with an always-modern moto jacket and take your look from office hours to after hours in the time it takes you slip it on, ditch your pumps for booties and grab your snakeskin tote. It may have gotten a bad rap in the early 80s and 90s, but the mock turtleneck, with its pretty, neck-lengthening silhouette, is back on track this season. Loose-fitting and low-key, it’s the perfect antidote to a hectic week. Pair it with boyfriend jeans and a blanket scarf soft enough to make you want to curl up on the couch with a favorite book. Feeling antsy? Throw on a jacket and tennies, and stroll to brunch with your besties. 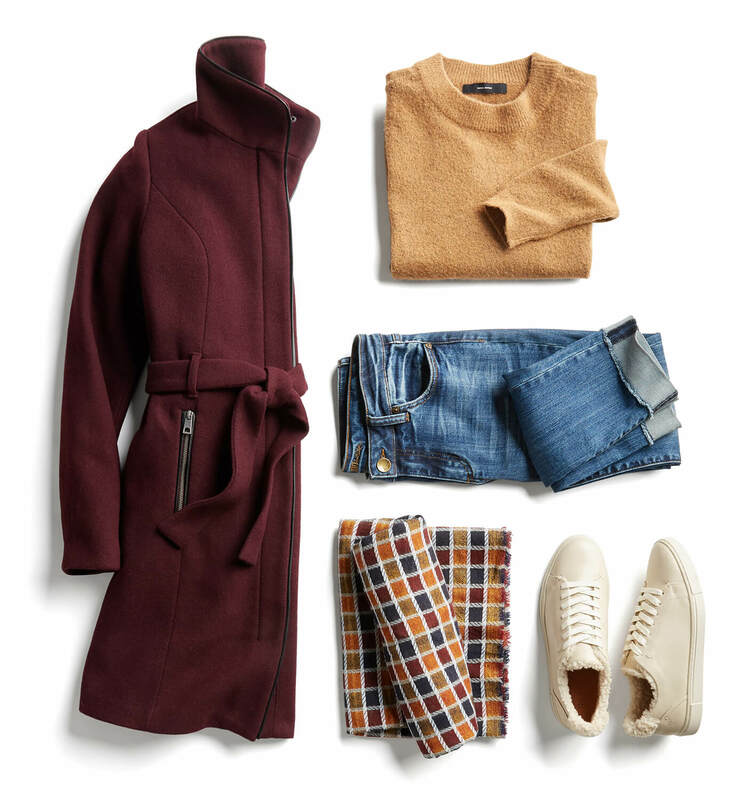 Weekends were made for sporting something soft and comfy––like a sweater, leggings and loads of layers (particularly if you’re looking for creative ways to save on your heating bill!). A favorite go-to this season, athleisure wear says kick-back and relaxed, but still looks polished and put together. Stick with a neutral legging (black is the be-all, end-all) and top it with a super soft, hooded pullover layered under a striped knit top. Step outdoors in a nubby fleece jacket, sleek sneaks and a stylishly small backpack. One sweater, many options, or dare we say, many sweaters, even more outfits! Either way, ask your Stylist for a few of these toasty toppers.